Prefer to have your own chair? 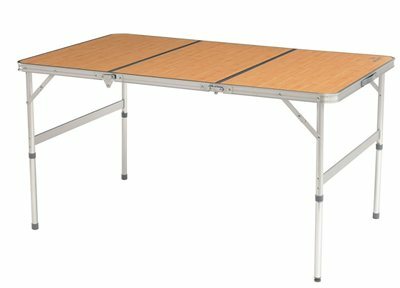 The Easy Camp Belfont folding picnic table comes with four folding stools for more elbow space. Designed for ease and strength, the table has a solid feel and the wooden laminate quickly wipes clean. The stools have a contrasting black fabric, and when not in use, they fold flat to fit inside the table for easy storage.